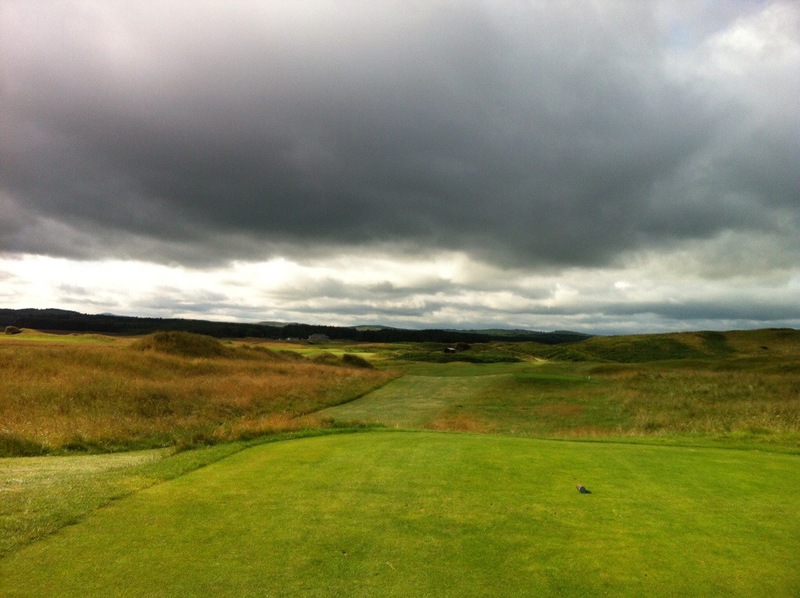 Day two of our Irish golfing sojourn saw us head to Donegal Golf Club in Murvagh. The sun was shining although the clouds always seem to be lurking nearby. 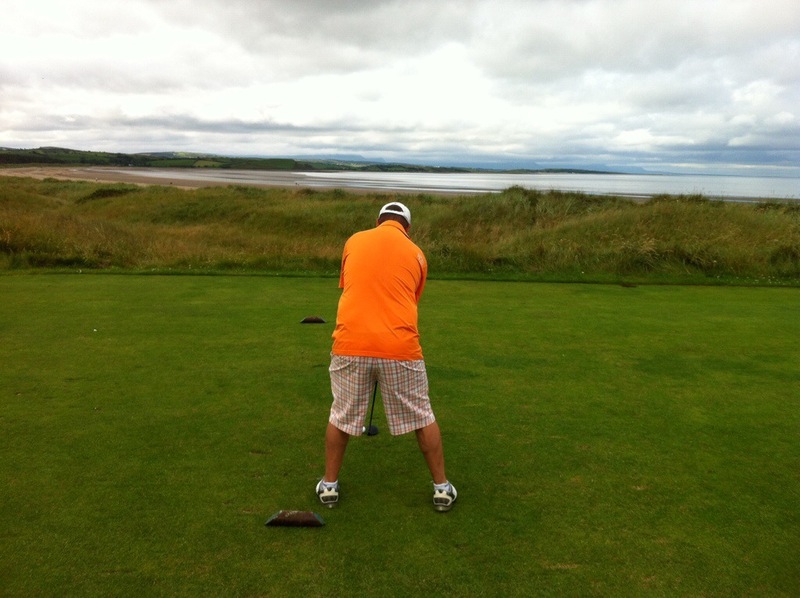 Donegal is another typical links course and although the fairways seemed wider than Narin & Portnoo we both managed to find ourselves in the rough quite regularly. Finding golf balls in that stuff proved very difficult so a replenishment of golf ball stocks at the 9 hole mark was required. It was remarkably warm, humid in fact. We came across these two old guys who were sweating away. 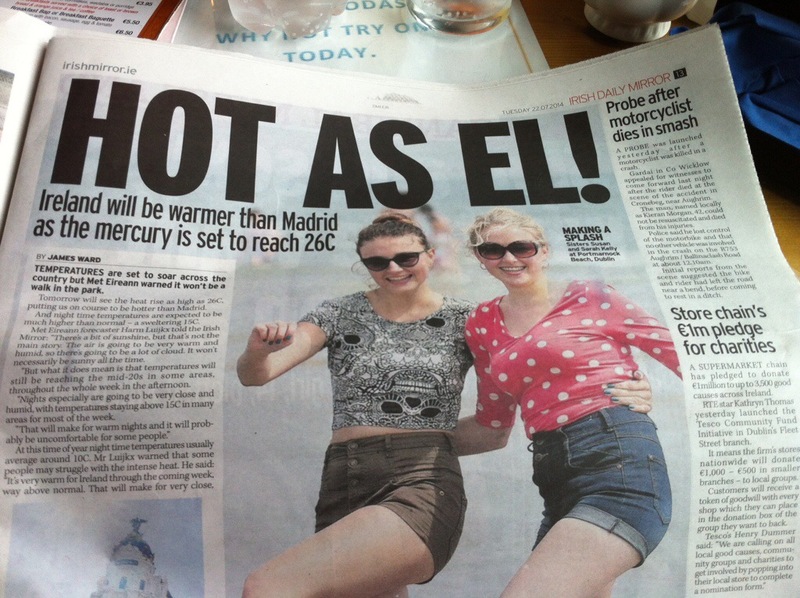 One of them says you better stock up on drinking water – there’s a heatwave, its coming off the Sahara Dessert! These conditions are unheard of here. We were laughing away thinking although it was warm this was no heatwave! The lady in the pro shop also mentioned the heatwave. 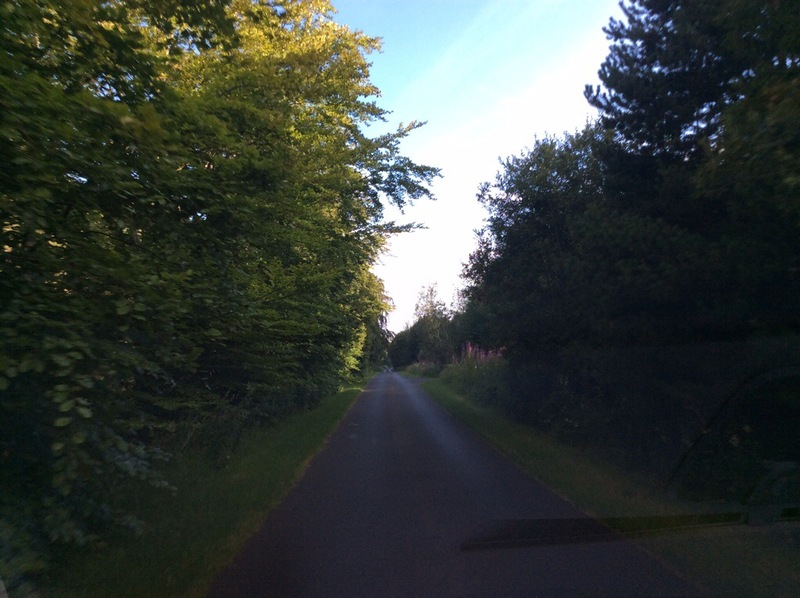 Donegal Golf Club was founded in 1959 when the first golf course and clubhouse were built at Tullycullion on the edge of Donegal Town. 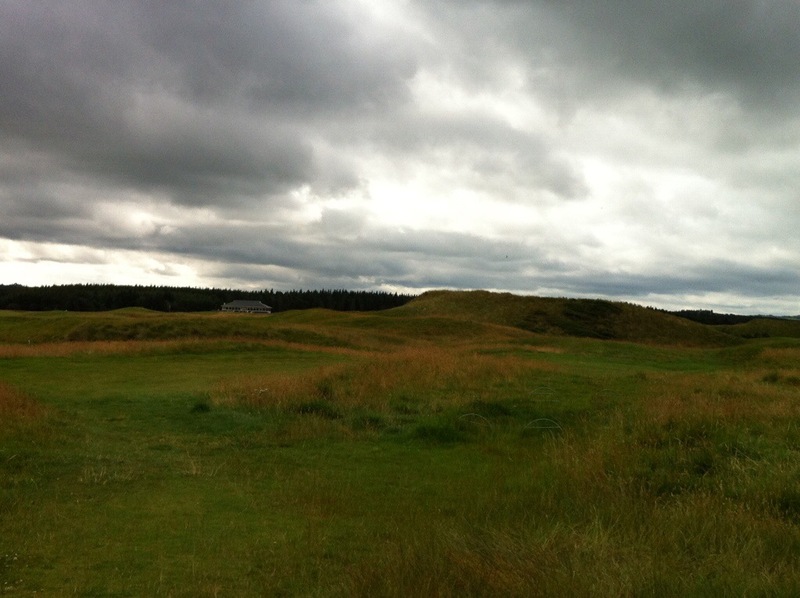 The land for the course was granted to the club by the Temple family, owners of Magee & Co. In the early 70’s some far-sighted members identified the links land of the Murvagh Penninsula as being more than suitable for a golf course. 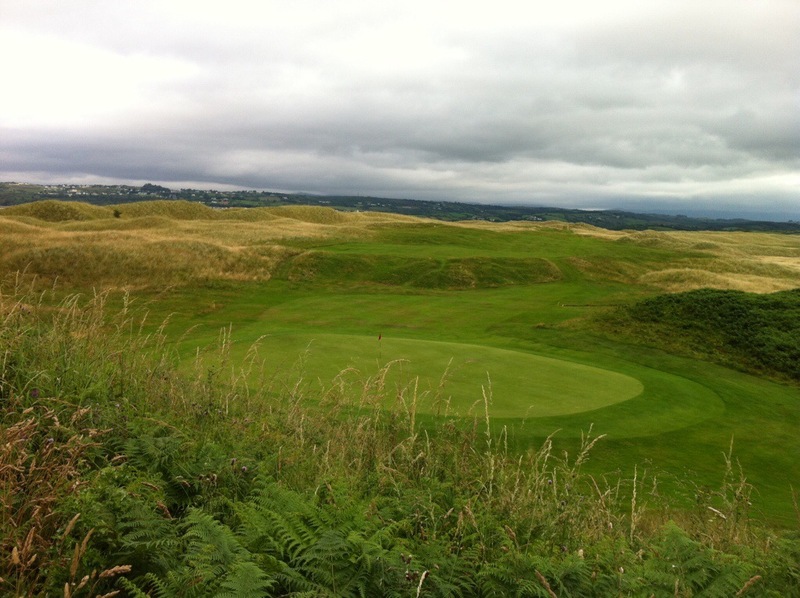 The land was leased from the Department of Lands and Ireland ’s leading golf course designer at the time, Eddie Hackett, was hired to design an 18-hole championship course. The course and new clubhouse were officially opened in 1976. Since then, the course has undergone quite a bit of remodeling. 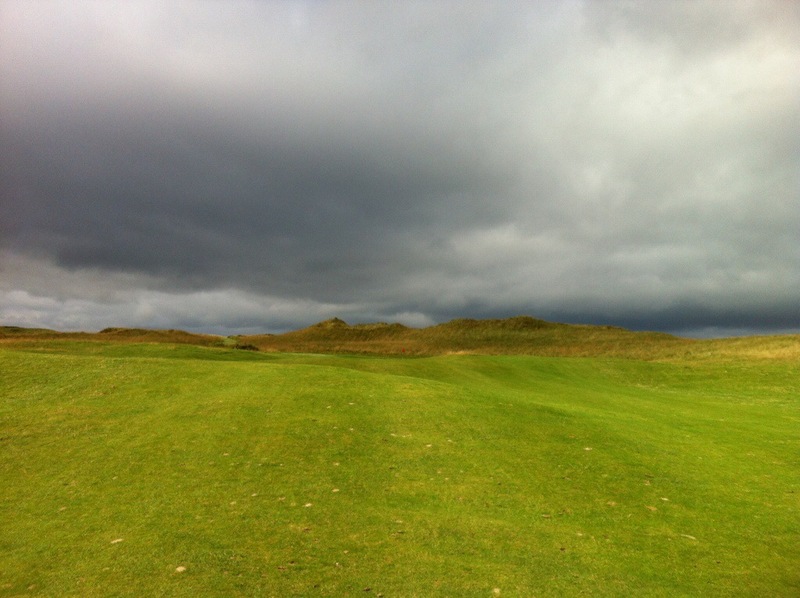 Most of these changes have been carried out under the direction of Pat Ruddy, another famous Irish golf course designer. In 1997, the original clubhouse was demolished to make way for the current, modern building, which was officially opened in 1998. 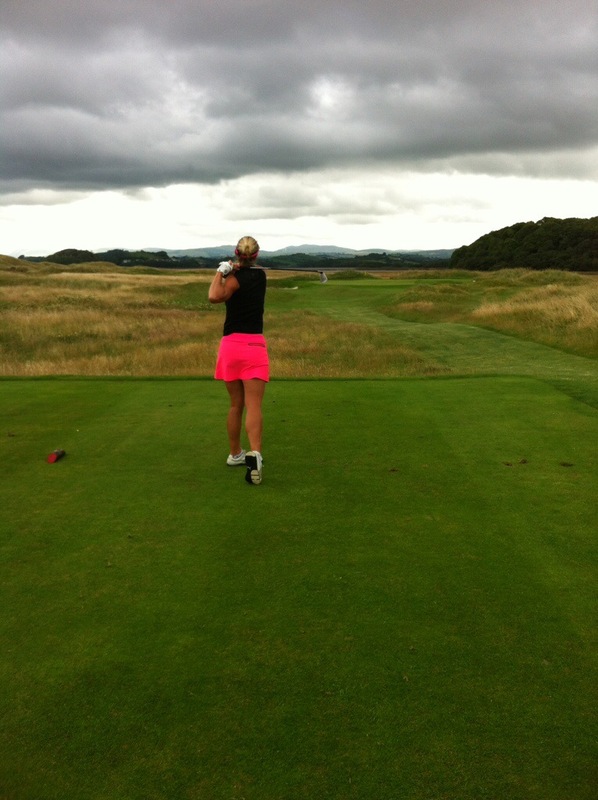 Donegal Golf Club was the venue for the Irish Ladies Close Championship in 1979, and again in 2003. In 2004, the Club hosted the Men’s Irish Close Championship; the winner was Brian McElhinney, the 2004 European Amateur Champion, who came out on top of a strong field that included Rory McIlroy, then 14 years old and playing in his first Irish Close Championship. For those of you who follow golf you will know that Rory McIlroy just won the British Open last weekend. 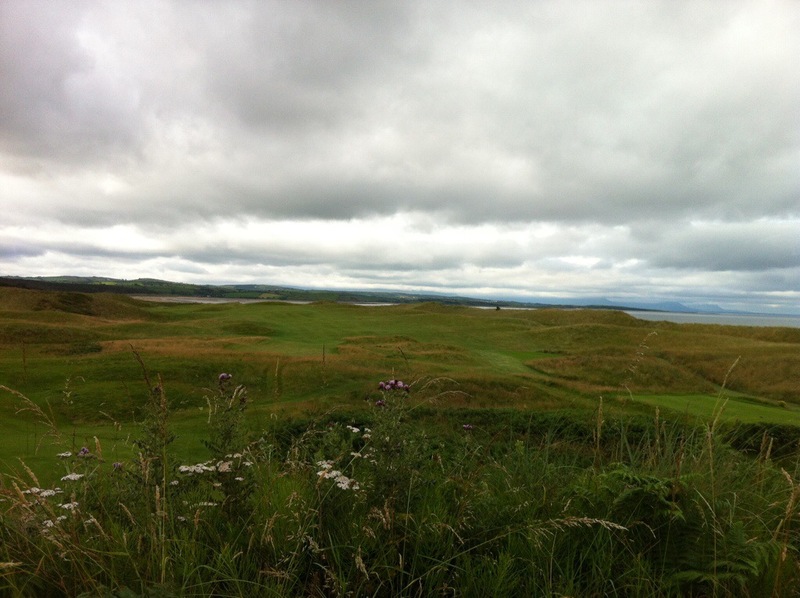 The Ulster Senior’s Amateur Championship was played on the course in 2010. It was won by Garth McGimpsey, former Walker Cup Captain, who is probably Ireland’s most famous recent Amateur.